As a fundamental part of its stewardship, the board is responsible for assuring the larger community and stakeholders to whom it is accountable that the education offered by the institution is of the highest possible quality. 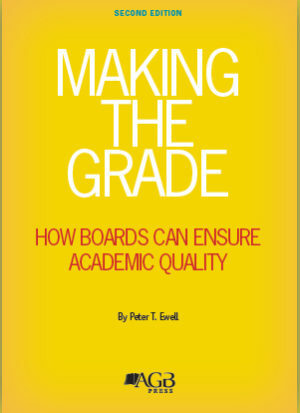 This toolkit contains five publications that will guide board members in the process of ensuring educational quality. There is a bulk discount on orders of 10 or more toolkits. The 10% discount will be applied automatically when you check out.